Media severely under-covered Hurricane Maria, which affected mostly Latinx people. Thousands of people died as a result of Hurricane Maria in Puerto Rico, researchers estimate, and it took 11 months to restore power to all residents. Maria was the worst weather disaster to affect Puerto Rico in 80 years and potentially the deadliest hurricane to hit the U.S. since 1900. But many news outlets failed to give much coverage to the storm and the ongoing recovery efforts. Maybe because most of the victims of Hurricane Maria were people of color: 99 percent of the population of Puerto Rico is Latinx. 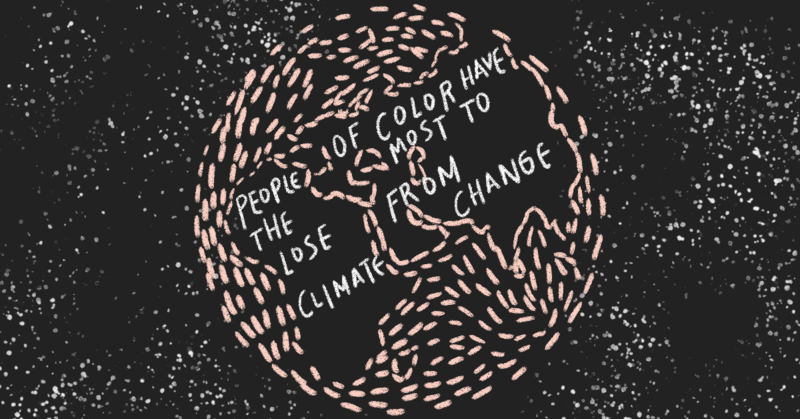 Extreme weather and climate disasters have the biggest effects on people of color, the poor, and women, both in the U.S. and around the world -- and the media need to be talking about that. The first Sunday after Hurricane Maria made landfall, the five major Sunday political talk shows cumulatively dedicated less than one minute of coverage to the storm. When outlets did turn their coverage to Maria, it was because of the president’s antics. Coverage spiked when President Donald Trump got in a Twitter fight with the mayor of Puerto Rico's capital, San Juan, and when he visited the territory and threw paper towels out into a crowd. When the drama ended, coverage dropped significantly and has stayed low even as Puerto Rico continues struggling to recover. On top of this lack of coverage is the problem that many mainstream outlets don’t talk to the people who are most affected by climate change, and they also don’t talk enough to scientists or climate researchers. Only 13 percent of guests featured during climate-related segments on Sunday shows in 2017 were people of color, just 29 percent of the guests were women, and no climate scientists or journalists were featured at all -- the second year that scientists and journalists were completely excluded. Mainstream media outlets need to talk to the people who are being hurt the most by climate change. They also need to connect the dots between climate change and extreme weather, to help everyone understand that climate change isn’t just something that will happen in the future or in faraway places. It's happening now, and it's happening everywhere.